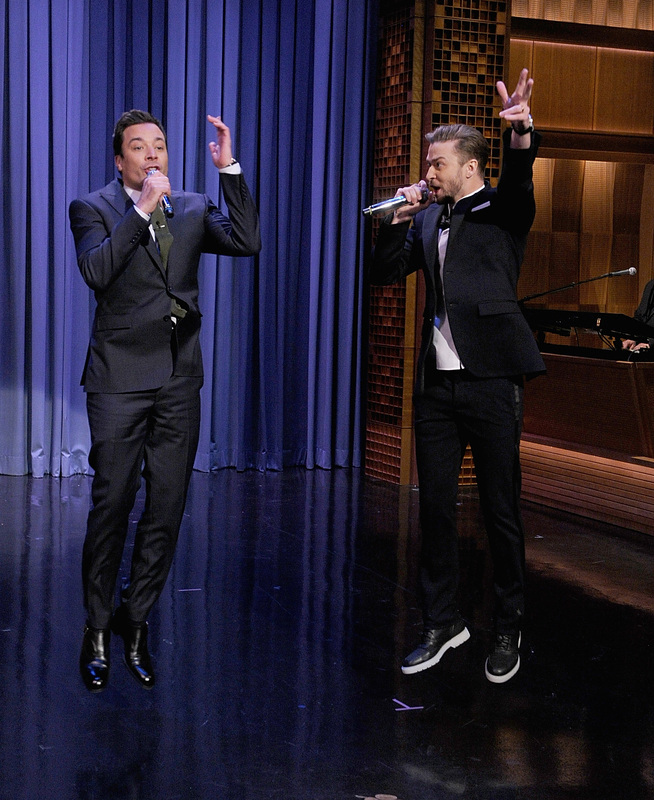 We love "History of Rap I-V" but we'd love "History of JT & Jimmy" even more. Have you ever wondered how long Justin Timberlake and Jimmy Fallon have been killing the BFF game? Well, we've got your answer — a whopping 12 years. And if JT and Jimmy's recent performance of "History of Rap V" on The Tonight Show is any indication — their bromance is just getting better with age. Since MTV brought them together in 2002, Jimmy Fallon and Justin Timberlake have been making us laugh all over late-night television — from SNL, to Late Night, and most recently on The Tonight Show. It might be a stretch to call them the male version of Amy and Tina, but really, that's exactly what they are. Since their first skit together on SNL in 2003, Timberlake and Fallon have developed their bromance chemistry to a perfect science. And we love it. We love them, we love everything they do, and we really love the fact that Fallon had JT write his Time Magazine essay when he was named one of 2013's most influential people. Seriously, how perfect of BFFs could they be? JT's first time on SNL — "The Barry Gibbs Show". A little sibling-esque rivalry never hurt anyone. And they can be honest about when they take it too far. Friends with benefits isn't for everyone. They're the best bromance of all time and they just can't stop making you want to be them.